A few big things are taking place in cali soon. 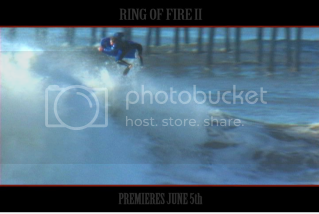 One is the US Open of Bodyboarding which is going to take place June 4th to the 6th on the south side of the Hungtington Beach Pier. I just got word that Sean English and Chris Taloa will be doing the MC for the event. The wealth of knowledge that those two guys have on bodyboarding is crazy so expect to learn some facts that you had no clue about and get ready to laugh! The amount of competitiors and the level that will be competing is going to be extremely high. My house will most likely be packed with people from all over haha You can get more info HERE. Pray for good waves!!! 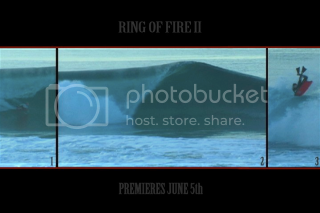 Robert Isambert has been putting in some crazy hours finishing up his video project Ring of Fire 2 which will premiere on June 5th in San Clemente. 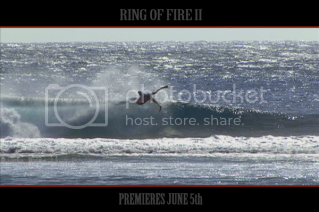 For all the hard work he has been putting into this video it is easy to expect that it will be one of the BEST modern day Mainland videos to hit shelves. 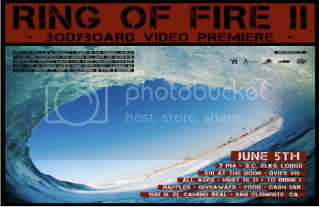 The premiere is going to be insane and with ticket prices at only $10 you HAVE to make it out. Plus you get to meet some of the top pros, get amped on a new video, meet new people and have a good time! Matt Meyer doing what he does best. 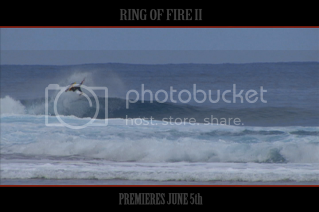 Mike Lepiere sick barrel to a sick air reverse... no big deal for him haha Straight ripping!